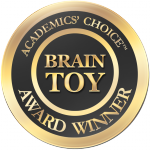 Enter Our Super September Giveaway! 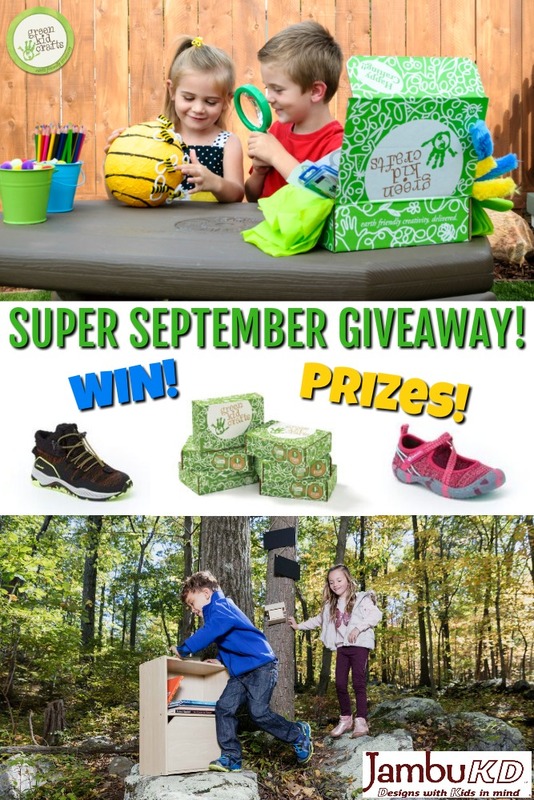 Green Kid Crafts is partnering with JambuKD footwear to bring you a big fall giveaway with awesome prizes! 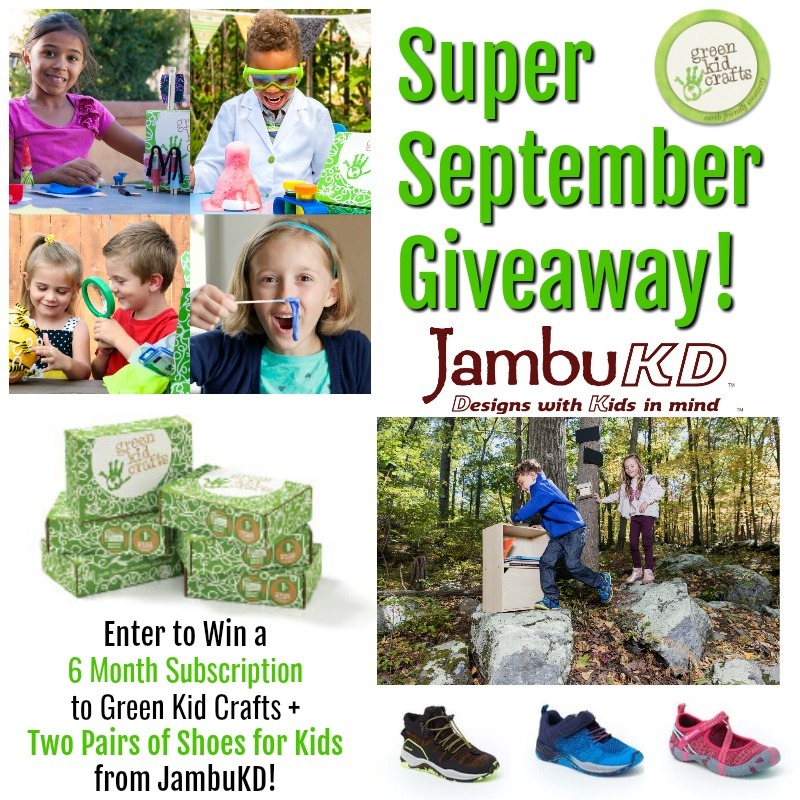 Enter for your chance to win a 6 month subscription to Green Kid Crafts and 2 pairs of JambuKD shoes for kids! We’re excited to be bringing you this giveaway in partnership with JambuKD, a children’s footwear company. 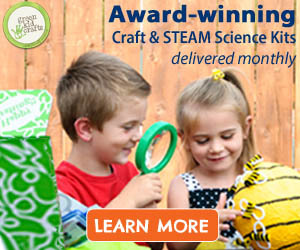 They offer shoes that are stylish, kid friendly, water ready, water-proof, vegan and cold weather rated. Kids are ready for every adventure with JambuKD footwear! Enter Our Super September Giveaway Below!